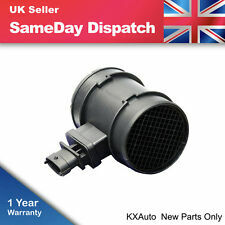 Vauxhall Astra Mk4/5 - Crank Sensor - Brand New - 1 Year Warrranty! 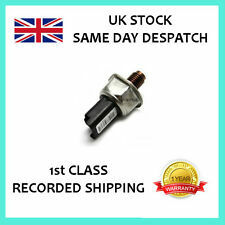 Ford Mondeo TDCi Mk3 - Camshaft/Cam Sensor - Brand New - 1 Year Warrranty! 0281002437 di Alta Qualità Boost MAP Sensore. SWAG: 40937055. FACET: 103082. VEMO: V24720099. FEBI BILSTEIN: 37055. Adatto per Ford C-Max 2 / Focus 2 / Mondeo 4 / Galaxy WA6 / Kuga Jaguar Volvo Mazda Land Rover 1. Specifiche Tecniche Codice produttore : 3M5A-5L200-AB, 3M5A5L200AB, 1415606. FUEL RAIL HIGH PRESSURE SENSOR. JAGUAR X-TYPE 2.0/2.2 TDCI 2002-2009. KIA SEDONAMK II 2006 - 2016 DIESEL: 2.9 CRD. NISSAN NV200 2010 - 2016 DIESEL: 1.5 DCI. GRAND SCENIC MK2. KANGOO / GRAND KANGOO. F00C2G2063 / F00C262063. Stiamo andando a cercare la soluzione migliore per il vostro interesse. LAMBDA SONDAS. NAVARA D40 2.5DCi (2005-on). Nissan Navara 2005 2.5 dCi 2488ccm 144HP 106KW (Diesel). Nissan Navara 2006 2.5 dCi 2488ccm 144HP 106KW (Diesel). Nissan Navara 2006 2.5 dCi 4WD 2488ccm 171HP 126KW (Diesel). Stiamo andando a cercare la soluzione migliore per il vostro interesse. LAMBDA SONDAS. 3M211-2B529-AA / 3M2112B529AA. BRAVO II / MULTIPLA /. 147 (937_) / GT (937_) MITO (955_). FIAT / ALFA / LANCIA. FIAT 55183650. FIAT 71793250. di cuihai bisogno. tutte le informazioni. SIDAT 38.785. # About SKV Germany. Are you worrying how to proceed warranty if you are from different country?. For details seeWarranty Policy. Alternatively, if you have OE/OEM number of the part(s) you need, you can also check if it is listed in theCorresponding OE Number(s) section below which informs about reference numbers for the listed item. Sensore Pressione Pneumatici. Peugeot 407. INFO RESTITUZIONI. FIAT 71748477. FIAT LANCIA 46403099 71748477 46758011 - SKA067 MARELLI 501040176401. FIAT - 1V BRAVA BZ/DS (1995-1998). FIAT - PT MAREA BENZINA (1996-1999). FIAT - PU MAREA DIESEL (1996-1999). FIAT - 1R MAREA DS GAMMA'99 (1999-2002. ). FIAT MULTIPLA STILO 1.9 JTD. MAGNETI MARELLI AMMQ19730. CODICE 0280160216. FORD LANCIA PORSCHE JAGUAR. REGOLATORE PRESSIONE CARBURANTE. It is also more stable for better performance. Instructions Included. Labour claims are never accepted. Any models shown in the application table are just a guide. FIAT 52068338. ALFA FIAT LANCIA 52068338 52044866 51940574. Sensore di innesto frizione FIAT JEEP RENEGADE. NUOVO NEL SUO CONTENITORE FIAT LANCIA. Periodo di. One pair = One temperature sensor and one heater sensor. You will get what you see in picture. The sensors are made on a very thin glass substrate, and therefore need special careful handling in order not to break! BOSCH HFM-5-4.7. FIAT 60814852. FIAT 46541253. FIAT 46447503. (932A4) 88 05.2000 - 05.2006. LANCIA KAPPA (838A) 2.4 JTD (838AL1AA) 100 06.1998 - 10.2001. LANCIA KAPPA Coupé (838) 2.4 20V (838CC) 129 11.1996 - 03.2001. Petrol,diesel solenoid valve 12V DC. High-quality valve aluminium, not plastic. FORD C-MAX 2.0 TDCI. FORD FOCUS MK2 2.0 TDCI. FORD GALAXY 2.0 TDCI. FORD KUGA I 2.0 TDCI. FORD MONDEO MK4 2.0 TDCI. FORD S-MAX 2.0 TDCI. CITROEN C4 2004-ON. CITROEN C4 PICASSO / C4 GRAND PICASSO. 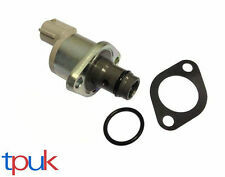 1999 - 2001 For Suzuki Vitara 1.6L L4 4 Cylinder. 1999 - 2003 For Suzuki Vitara 2.0L L4 4 Cylinder. 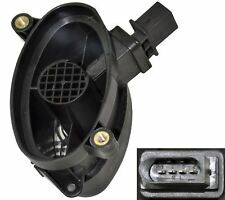 2002 - 2003 For Mazda Protege5 2.0L L4 4 Cylinder. 1992 - 1998 For Suzuki Sidekick1. 1996 - 1998 For Suzuki X-90. QUESTO RICAMBIO È CONOSCIUTO ANCHE CON I SEGUENTI CODICI: 6PP009400481, 062906051, 062906051, 062906051, 038906051, 062906051, 038906051, 062906051, 038906051, 038906051, 038906051, 99VW9E928AA, 1111222, 0281002178, 0281002177. 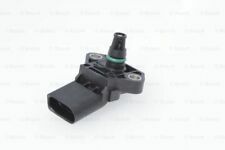 High quality OE approved Map Sensor with 24 months warranty. OEM Part Number - 0281002593. Check your old part no. 2001 - 2012. 1.9 dCi (100). 2002 - 2006. 2000 - 2003. 2004 - 2012. RéférenceOEM Peugeot et Citroën : 1563. L1 - 1563L1. Électro-vanne d'avance pour pompe CAV Lucas. Électro-vanne d'avance pour Peugeot et Citroën. 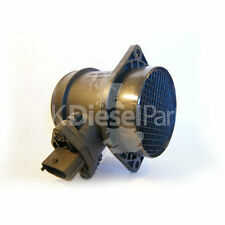 - Jumpy 1.9 diesel et turbo diesel moteur DW8 et XUD. Ces 2 électrovannes sont positionnées sur le bloc hydraulique de la boite de vitesse automatique. Souvent l'affichage "boite de vitesse à contrôler" est indiqué au tableau de bord. Ensemble de 2 électrovannes de régulation de pression pour commande de boite à vitesse automatique. QUESTO RICAMBIO È CONOSCIUTO ANCHE CON I SEGUENTI CODICI: 6PP009409031, 07Z906051B, 059906051A, 95560615100, 0281006006, 0281002760, 07Z906051B, 07Z906051B, 07Z906051B, 07Z906051B, 059906051A, 059906051A, 059906051A, 059906051A, 95860615110, 0281002759, 0281006005. ALFA 147 (937) 1.6 16V T.SPARK ECO (937AXA1A) 01.01 77 105 1598 Hatchback. 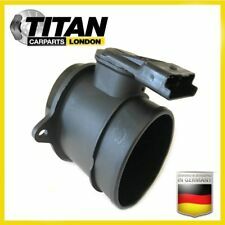 ALFA 147 (937) 2.0 16V T.SPARK (937AXC1_) 01.01 110 150 1970 Hatchback. ALFA 156 (932) 1.8 16V T.SPARK (932A31__) 10.00 - 09.05 103 140 1747 Saloon. LR009732 SUPERSEDES STC4768. FREELANDER I (LN_) 2.0 TD4 2000-2006. THESE TWO TYPES ARE. LAND ROVER RANGE ROVER III (L322) 3.0 TD6 2002-2009. 5WK9007 / 5WK9007Z. 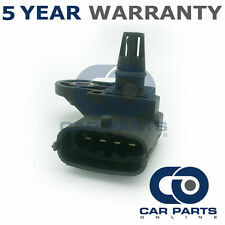 This part directly replaces the following original manufacturer part number. Weight (gms): 300. Part Number. Product Information. Advance Actuators. We have up to date information readily available for most problems encountered with Diesel Systems. CODICE 51774531. ORIGINALE FIAT. - NON SPEDIAMO IN CONTRASSEGNO. 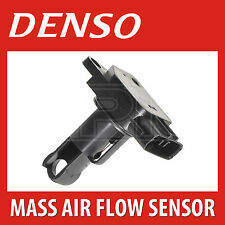 1 Sensore Misuratore Massa Aria Subaru Forester ( Sf,Sg ) 2.0,2.0t Anno Fab. 3 SERIES (E46) 3.0 D, XD. X5 (E53) 3.0 D. KAPPA (838_) 2.4 JTD. BMW 13537812345. 5 SERIES (E39) 2.5 & 3.0 D. 7 SERIES (E38) 3.0 D. ACCENT II (LC) 1.5 CRDI. RANGE ROVER III (LM_) 3.0 D 4x4.